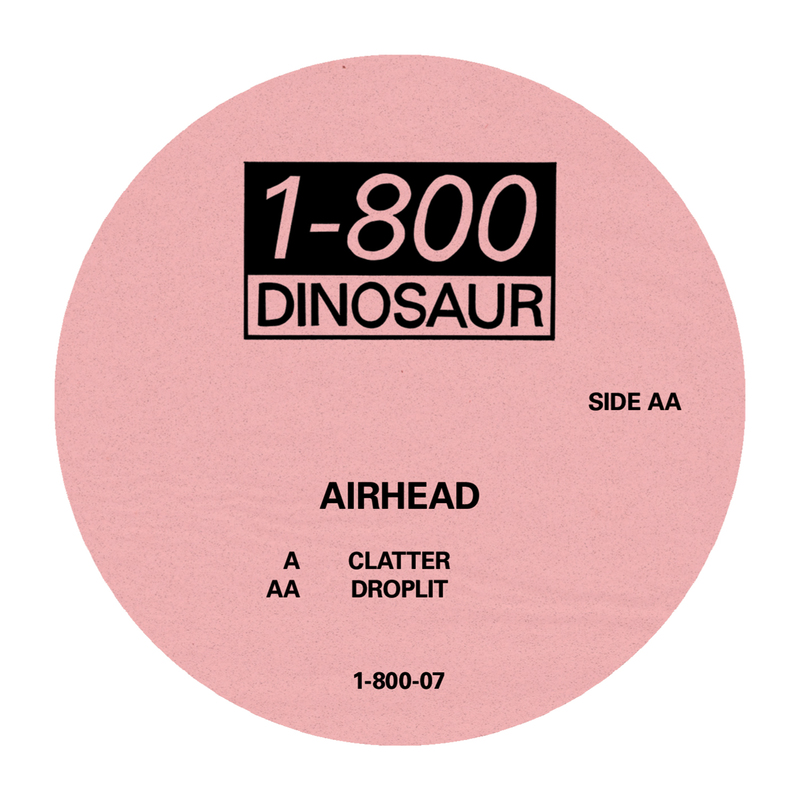 Following support from the likes of Ben UFO, Pearson Sound, Tessela, Laurel Halo, Mumdance and more, electronic producer Airhead has returned to the 1-800 DINOSAUR imprint for a brand new 12” double single of highly sought after music, purpose built for the club. Named ‘Clatter’ and ‘Droplit’ respectively, both tracks hold the hallmarks of a classic Airhead sound, while simultaneously pushing the envelope of his previous work. ‘Clatter’, employs chiming synths and cascading rhythmic elements coupled to create its own steady tempo. Demandingly robust yet simultaneously instilling a sense of fun, ‘Clatter’ remains unpredictable throughout and consistently pushing the envelope of what defines club music. A disarming blend of whirring breaks, pitch shifted sirens, and guttural water-drop bass notes, ‘Droplit’ is the perfect counterpart to ‘Clatter’. Sparse yet still frantic and inherently danceable, ‘Droplit’ harks back to the rave era while keeping its vision firmly set in the future, transcending time and convention to embody a completely fresh approach to contemporary club sounds. 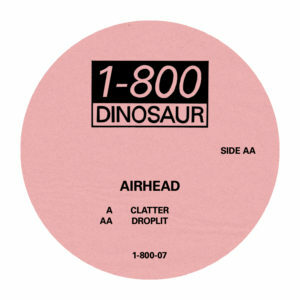 Already a lynchpin for progressive sonics both in and out of the club, Airhead’s newest release on 1-800 DINOSAUR is a staggering blend of unconventional melodics, impactful percussion and devastating low end. Proving to be a duo of hugely in demand tracks of the year thanks to support from some of the world’s most respect selectors, with ‘Clatter/Droplit’, Airhead has pushed the sounds shaking the foundations of clubs forward dramatically, and as a result, created music that will inspire incendiary reactions worldwide for years to come.